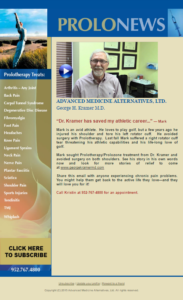 ProloNews Newsletter – February 2016 | George Kramer, M.D. 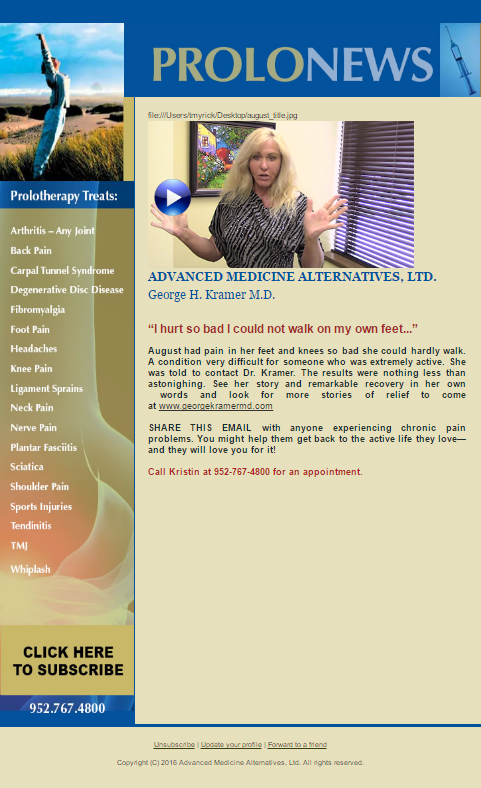 August had pain in her feet and knees so bad she could hardly walk. A condition very difficult for someone who was extremely active. She was told to contact Dr. Kramer. The results were nothing less than astonighing.